America again owes more money to China than any other nation. 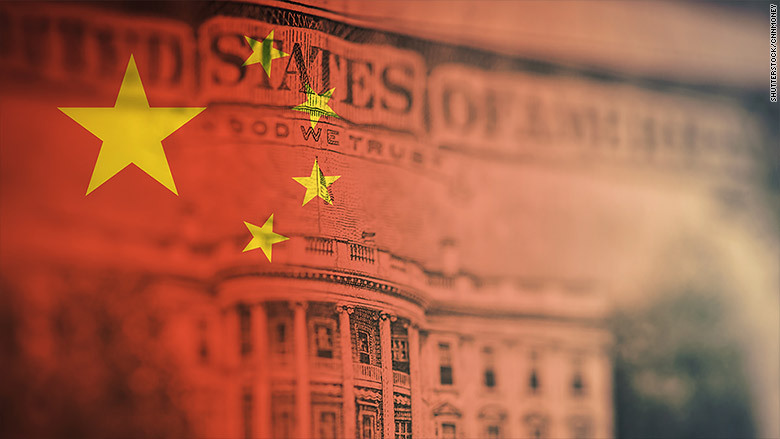 China's vast holdings of U.S. government debt jumped $44 billion to $1.15 trillion in June, according to U.S. Treasury Department data. That took China above Japan, which offloaded $21 billion in U.S. bonds in the month. Japan had held the position of Uncle Sam's biggest creditor for the previous eight months, but Beijing's renewed appetite for U.S. debt has brought it back to the top. China was dumping U.S. Treasuries in 2016 so that it could buy its own currency -- the yuan -- to counter downward pressure caused by a huge outflow of cash from its economy. Since early this year, however, its holdings of U.S. debt have steadily ticked up. The shift coincides with new government controls on money leaving China that have helped ease the pressure on the yuan. The Chinese currency has gained almost 4% against the dollar so far this year. The Treasury Department has ranked China as the biggest foreign creditor to the U.S. for the overwhelming majority of the past nine years. The willingness of China to lend massive amounts of money to the U.S. government has raised concerns about Beijing's potential leverage over America. President Trump claimed the opposite during his campaign, suggesting it gives the U.S. "a lot of power" over China. Experts say the reality is more complicated, arguing that the debt relationship binds the world's two largest economies closely together. Trump talked tough on China on the campaign trail, promising to slash the $310 billion trade deficit between the two countries, and threatening heavy tariffs on Chinese imports. He has been more cautious since taking office. 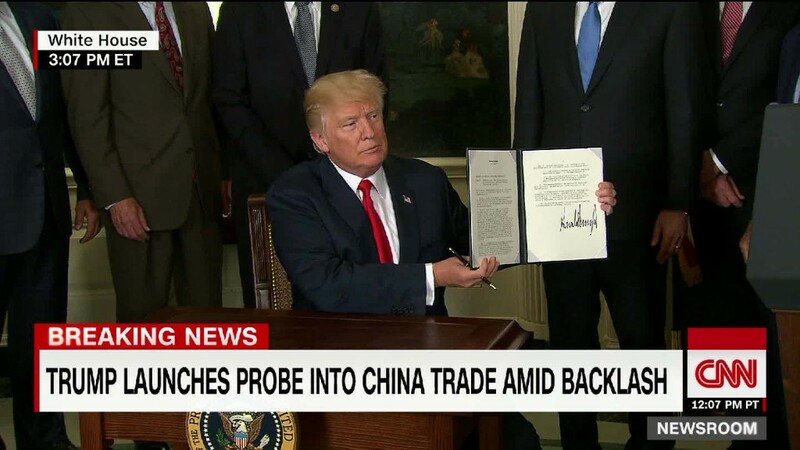 This week, he asked his top trade official to look into Chinese trade practices, but stopped short of ordering a formal investigation. China's holdings of U.S. Treasuries have risen about $95 billion since the end of January, but are still nearly $100 billion lower than they were last summer. Japan's holdings have fluctuated in recent months. They're now at the same level -- $1.09 trillion -- as they were at the end of last year.